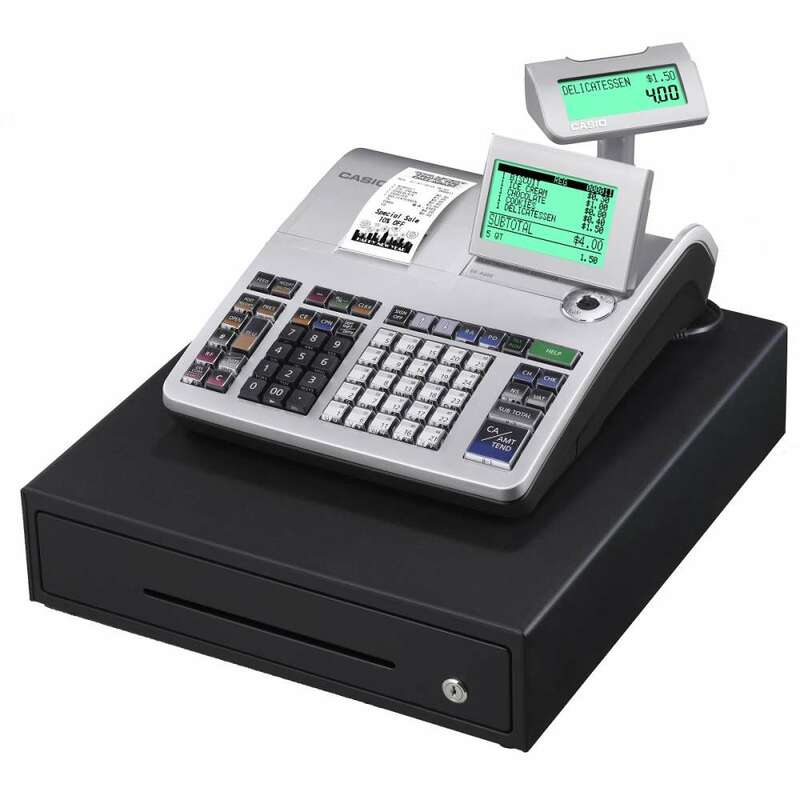 The Casio SES400 Cash Register can scan up to 2000 barcodes and has a 25 Department Raised Button Keyboard. The SE-S400 is designed for small retail stores and is a great affordable solution for new businesses. The SE-S400 is combining style with functionality. The SE-S400 10-line LCD provides the operator a reference for the current transaction to eliminate errors. Up to five (5) items, the transaction subtotal and the price of last item entered are all displayed for the operator's review. The SE-S400 also boasts a 2X20 pop-up customer confirmation display with the last item's name, price and the transaction subtotal.